OpenStreetMap Geography Awareness Week –or OSM GeoWeek, as we call it– is taking place from 13-19 November, and Missing Maps members are gearing up to support a variety of events. Each November, OSM GeoWeek serves as a time when teachers, students, community groups, organizations, and map lovers around the world join together to celebrate geography and make maps with OpenStreetMap, the free and openly editable map of the world. GeoWeek activities include both mapathons and field-based mapping activities. Last year the Missing Maps members supported 94 events in 32 countries, and we can’t wait to see what the community can accomplish this year! 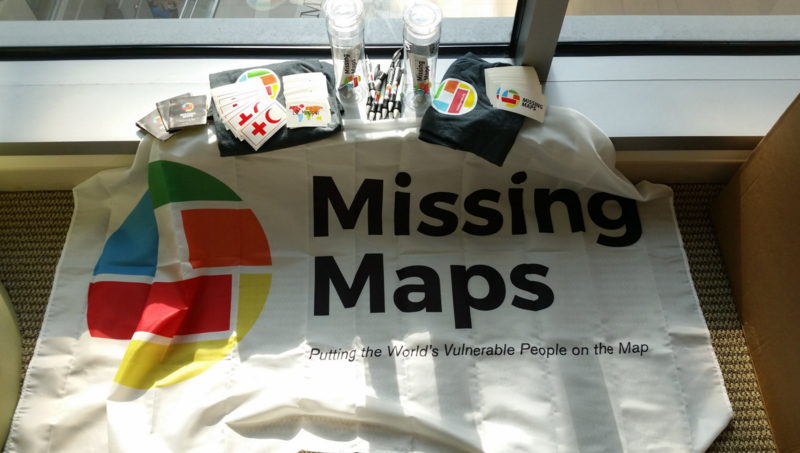 The American Red Cross GIS team has started planning with the Missing Maps member organizations in the US and Europe, as well as with our colleagues in DC at the Peace Corps, MapGive, OFDA, HIU, and local universities. We’ll be reaching out directly to a number of universities and organizations in the hopes that they’ll be interested in hosting a mapping event during GeoWeek. This week presents a great opportunity for students, coworkers, or members of a community organization to participate in something both meaningful and fun this fall. Participants don’t need any expertise, just basic computer skills. If your organization is interested in participating, the Missing Maps network and our colleagues can provide you with the information and materials needed to host a successful mapathon. If you’re located in the USA, then we can even send you a box of stickers and other swag as a care package for your event! If you’d like to host an event, sign up here.